Congratulations to Lawton High School student Bianca Karnes. 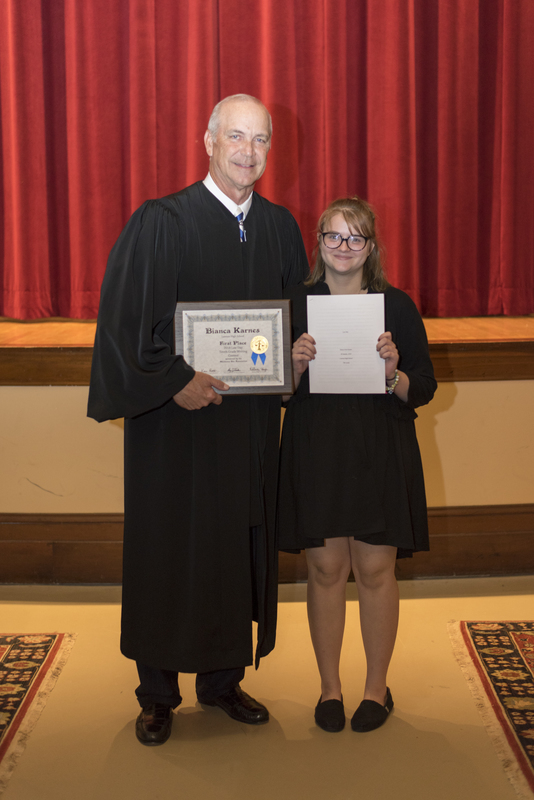 She placed first in the 2018 statewide Law Day art and writing contests sponsored by the Oklahoma Bar Association. Karnes won the 10th-grade writing contest for her essay exploring the balance of power between the three branches of government. She was recognized during a ceremony at the Oklahoma Judicial Center where she received her award from Oklahoma Supreme Court Chief Justice Douglas Combs. Kylee Sohl, also of Lawton High School, earned an honorable mention for her essay. Law Day, a nationwide event designated by President Dwight D. Eisenhower in 1958, is celebrated annually with events on or around May 1 to raise public awareness of American law. The idea for Law Day was conceived by the late Hicks Epton, a Wewoka attorney and Oklahoma Bar Association past president.